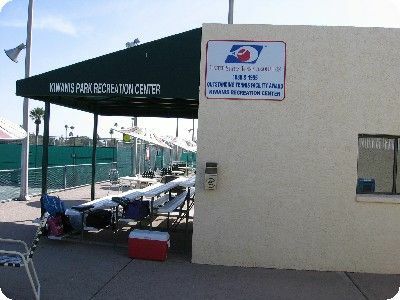 Kiwanis Tennis Center in Tempe, AZ will host a series of Junior Satellite Singles Tournaments in 2006. These events are for boys and girls ages 6-18. All events will be held on Fridays from 6:00 – 9:30 pm. These non-sanctioned events will be held on the following dates:	July 14; August 11; September 8 and October 20.